Bring a medium sized pot of water to a boil. Fill a large bowl with water and ice. Add broccoli with a strainer to the boiling water, a handful at a time. Cook the broccoli for about 2 minutes until tender but still bright green. Quickly (and carefully) remove from boiling water with the strainer and place in the bowl of ice and water, immersing the broccoli completely for about two minutes. 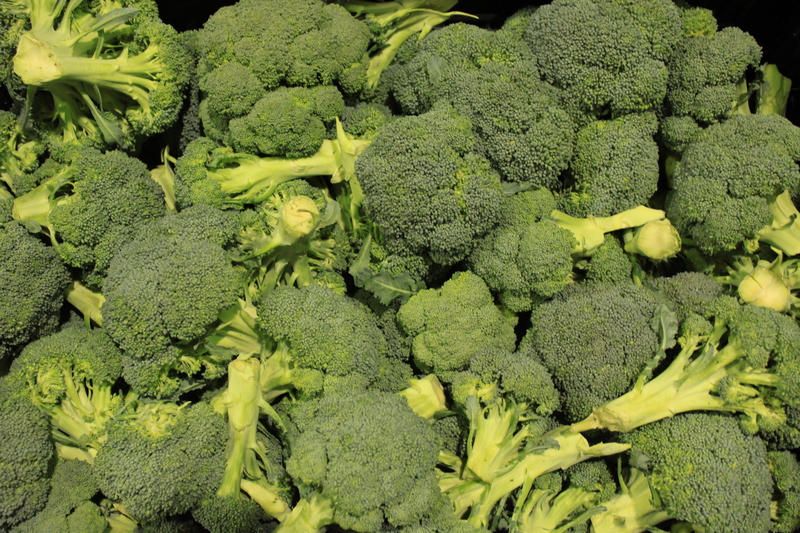 Remove broccoli from the ice water and rest it on a paper towel lined dish. Mix together Parmesan cheese and brown sugar (optional) in a bowl. Heat olive oil in a skillet over medium heat. Toss in the broccoli, along with the red pepper flakes, salt and pepper. Stir the broccoli and spices until coated. Cook for about 2 minutes. After removing the broccoli from the stove, sprinkle the parmesan sugar mixture over the top and enjoy!